Which 2018 Toyota 4Runner Is Right for You? If you’re stuck between an SUV or a truck, the 2018 Toyota 4Runner is the vehicle you need. While it acts like an SUV, it has the same towing power as a truck, with a 5,000-pound tow rating. It seems like this SUV can do it all except explain which trim has what features. We're here to help you with that. Our trim comparison can help you figure out which 4Runner is right for your home. The 2018 Toyota 4Runner SR5 starts at $34,410 for the standard two-wheel-drive. The engine is a 4.0-liter V6 that’s capable of 270 horsepower and 278 lb-ft of torque. Since the engine is larger than those in sedans, it’s impossible to achieve high gas mileage. The SR5, though, still manages an estimated 17 mpg in the city and 21 mpg on the highway. 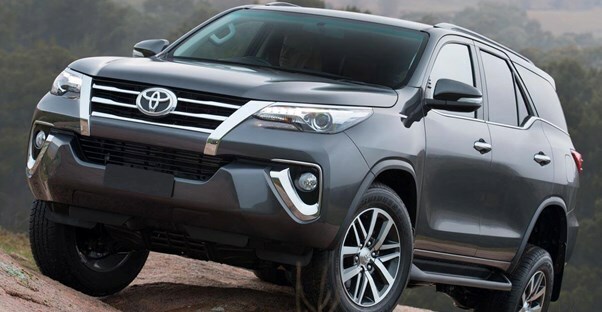 While the 4Runner is more expensive than many other base trim Toyotas, it comes with several features that require you to upgrade to a more expensive option for perks like keyless entry, Entune Audio Plus with Connected Navigation, and power rear liftgate. The SR5 Premium starts at $36,240 and is definitely worth the upgrade. Not only does it come with better features, but it's also equipped with SofTex synthetic leather to give it a more luxurious feel. To go with this upgraded feeling, the multi-media system changes to Entune Premium Audio with Integrated Navigation and App Suite. This allows you to access navigation, traffic updates, and weather forecast through your vehicle itself. As if that weren’t enough, this trim also has heated seating, HomeLink Universal Transceiver, and auto-dimming rearview mirror. The TRD Off-Road starts at $37,535 and excels at exactly what you’d expect—off-roading. Unlike any of the other trims, the TRD Off-Road comes standard with a 4x4 drivetrain. This gives you more control than ever, even in the roughest of terrains. In exchange, this trim drops Entune Premium Audio for the SR5’s Entune Audio with Connected Navigation, which requires you to download GPS Scout Link through your phone to access navigation, traffic updates, weather, and more. The TRD Off-Road also removes SofTex synthetic leather in exchange for fabric seating. If you find yourself wanting the upgrades from the SR5 Premium with the 4x4 abilities of the TRD Off-Road, you can purchase the TRD Off-Road Premium for $39,495. This trim comes with all the rugged power of the previous trim while adding all the luxurious upgrades from the SR5 Premium, including Entune Premium Audio with Integrated Navigation, the App Suite, and SofTex seating. It also adds red TRD lettering on the driver and passenger headrests for further accents. The Limited brings back the standard 4x2 drivetrain, although it’s possible to upgrade to all-wheel-drive if it’s a must-have for you. The Limited has a starting MSRP of $42,725 and has features that will have you searching for a reason to drive. One of the best is the upgraded sound system. It now includes Premium 15 JBL GreenEdge speakers along with a subwoofer and amplifier. Rather than SofTex synthetic leather, the Limited comes equipped with perforated leather throughout the cabin. Finally, it also uses a Smart Key System which allows for Push-Button Start. Do you want everything in one model? The TRD Pro starts at $42,675 and features a stand-out design. It has unique TRD Pro external hard badges and a Toyota front grille that show it off as the 4Runner's top-of-the-line offering. The biggest difference between this trim and the TRD Off-Road Premium is the fact that it comes with TRD Bilstein high-performance shocks with rear remote reservoirs and TRD-tuned front springs. These upgrades allow you to go through rugged terrain without nearly as much disturbance in the cabin. This makes it perfect for drivers who plans to use their Toyota 4Runner for major off-roading.